While bunions are a common foot problem, most people do not know what a bunion is, how it develops or what causes it. Simply put, a bunion is an abnormal, bony bump on the inside of the foot that forms at the joint where the big toe attaches to the foot. This progressive disorder begins with the big toe leaning toward the second toe. The degree of the angle gradually becomes greater, throwing the bones out of alignment and forming the characteristic bump. Bunions are often hereditary because certain foot structures are more susceptible to developing a bunion. While tight or pointy shoes do not cause bunions, they can make the problem worse, which is why women are more likely to suffer from bunions than men. 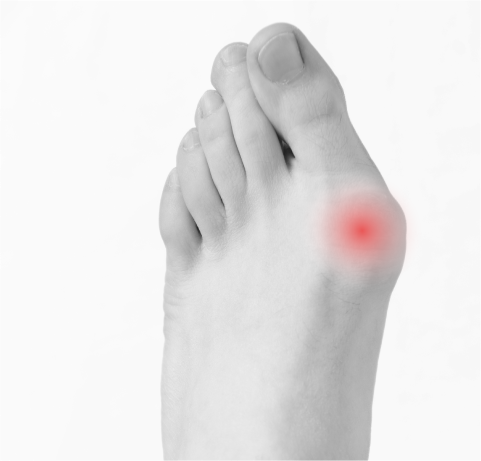 If left untreated, bunions will usually get worse and become more painful. In addition to being unattractive, they can lead to other bone deformities including hammertoes which usually affect the second toe. Why Should I Have My Bunion Corrected? That is a great, and very common, question that we get at FAIWest. The answer is complex and simple at the same time. There are two basic reasons to correct bunions. The first is pain, and the other is to avoid secondary changes in the foot. PAINFUL BUNIONS: One of the most common complaints people have with bunions is, of course, pain; the bunion hurts with activity, standing, in shoes, and at times even without shoes. 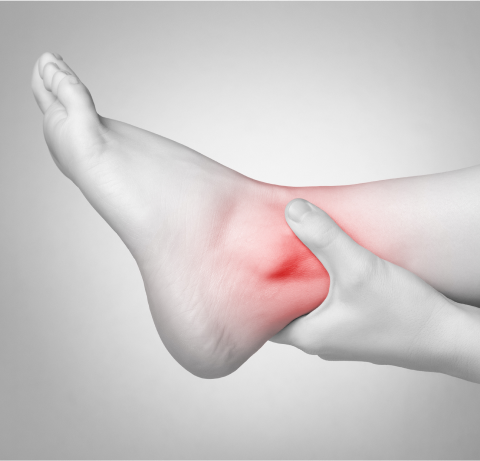 Pain is the primary reason a person comes into the Institute for an evaluation of their bunion. But there are people with bunions, even very large bunions, who do not have pain. Should their bunions be corrected? The answer is yes as long as the bunion is appropriate in size. The reason the bunion should be corrected has to do with what we call secondary changes. These changes occur in the foot when a bunion remains uncorrected for years. SECONDARY CHANGES IN THE FOOT: Even though pain is a common reason a person comes into the office, the true medical reasons for correcting bunions have to do with these secondary changes that occur in the foot due to lack of bunion correction. The first secondary change is Arthritis (joint damage) of the big toe joint. 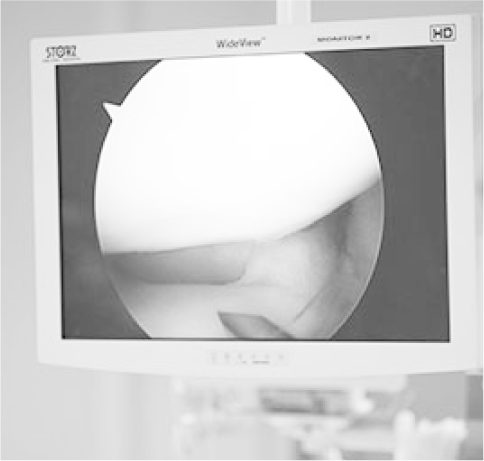 The damage involves a wearing down of the cartilage in the joint, spur formation and bone cyst formation. 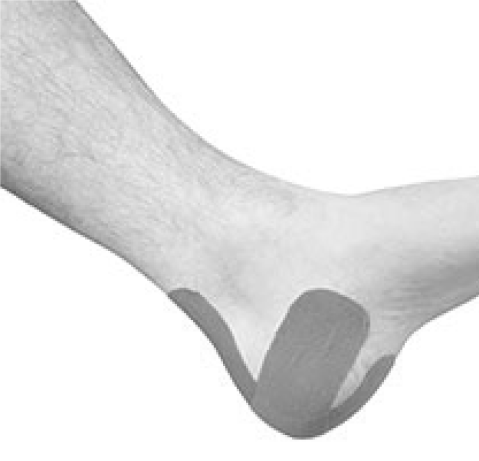 The changes in the joint are irreversible and one can only slow or stop the progression of these changes by correcting the misalignment of the big toe joint. Patients often say, “how can I have arthritis, I don’t have pain.” The answer is simple. Arthritis damage does not always hurt. The goal in bunion correction is to stop this process and save a person’s joint from total destruction. That said, a person with a damaged joint will more likely feel better with it after correction, because the joint will be in its normal alignment. The other secondary change that occurs due to uncorrected bunions is known as Second Metatarsal Stress Syndrome or Cross-Over Toe Syndrome. With this problem the second toe will stick up and move over toward the big toe and at times cross over it. In addition to the crossing of the toe, pain in the ball of the foot will develop. This will feel like you are walking on a rock or lump in the ball of the foot. This problem is progressive and does get worse over time. This problem is also something that is typically corrected with surgery. If you have this problem currently, correction will most likely be needed. If you don’t have this problem, treatment of your bunion is the best way to prevent this from being a problem. We say at FAIWest that the best way to treat Second Metatarsal Stress Syndrome is to not develop it. BUNION EVALUATION: Here at the Institute there are at least 10 different bunion corrections. The exact type of correction a person needs is based on an evaluation of the bunion deformity. This takes place in our office during the COMPLIMENTARY EXAM. The key is that all of our bunion corrections are done with a minimally invasive technique. This means that the incisions are very small and very little soft tissue is cut. AFTER THE MINIMALLY INVASIVE SURGERY: The foot and correction are stable and walking can begin immediately with no cast, crutches, walkers or canes. Immediately after the surgery a patient will be able to stand and walk in a special shoe no bigger than a tennis shoe. A course of physical therapy begins in our offices 3 or so days after surgery. The therapy is completely passive with no patient involvement needed. Physical therapy modalities such as ultrasound, electrical stimulation and whirlpool are used to reduce inflammation and promote quicker healing.